Got out this weekend to check some cams I put up a few weeks ago. Glad to see a bunch of different toms with decent spurs and beards. Looks like a healthy bird. Good luck. No hunting here, but saw a tom strutting today. What's the population like in NB now? Didn't get out to check the cams this weekend. 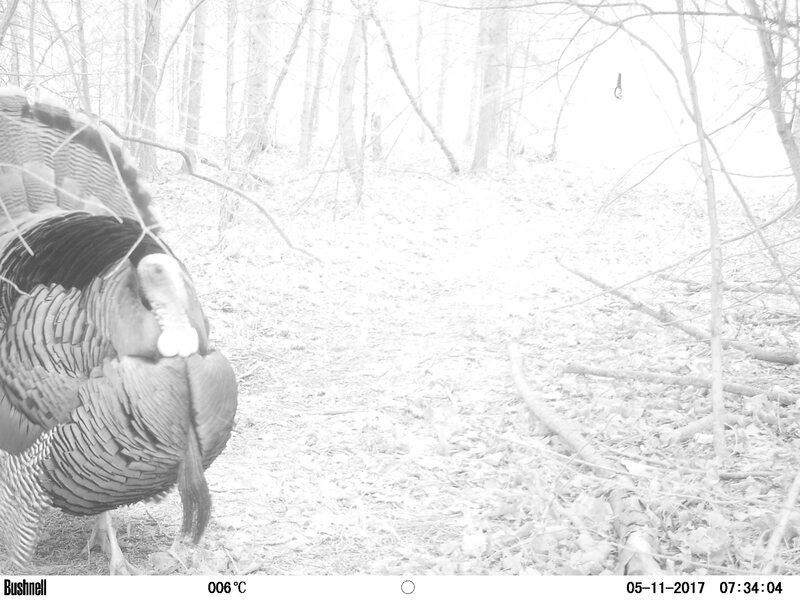 I did find a bunch of pics that I had mis-filed last year, and found an image of a double bearded tom I was lucky enough to take towards the end of the season. 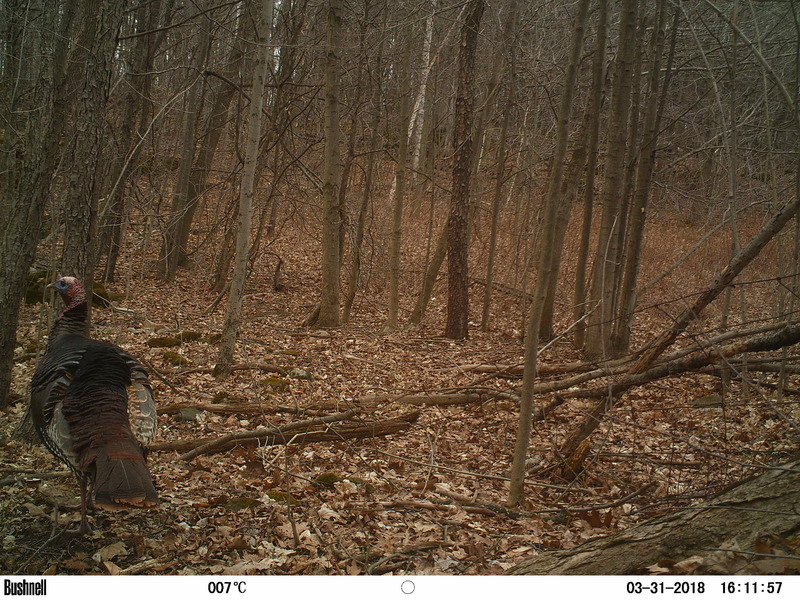 I find the trailcam to be as useful scouting turkeys as deer. We’re ready for a season. I know some private properties that they want them killed. Yep......I have 4 cameras out on 3 different farms. I am going to pull the cards on Saturday to see what they hold. Has anyone heard them gobbling? Headed down to Collingwood next week. Tried to convince my buddy to re book our holidays but he is dead set on going out on opener.